Theory of excitation and propagation of seismic waves, inverse problems of seismology, analysis and interpretation of seismic surface waves observations, surface-wave tomography on global, regional and local scales. Fellow, American Geophysical Union since 1998. Co-Editor, Monitoring the Comprehensive Nuclear-Test-Ban Treaty: Surface Waves, 2001, PAGEOPH, 158, n.8, Springer. Co-Editor, Vychislitelnaya Seysmologiya,1980-1992, issues 11-23, in Russian, Moscow, Nauka. Partly translated in English as “Computational Seismology”, issues 1-9, 1980-1989, Allerton Press, NY, and as “Computational Seismology and Geodynamics”, v. 1-8, 1994-2008, AGU,NY. Andrianova Z.S., Keilis-Borok, V.I., Levshin, A.L., Neigauz, M.G., 1967. Seismic Love waves, New York, Consultants Bureau, 1967 | original in Russian, Moscow, Nauka, 1965. Levshin, A.L., 1973. Surface and channel seismic waves. Moscow, Nauka, in Russian. Levshin, A.L., Yanovskaya, T.B., Lander, A.V., Bukchin B.G., Barmin M.P., Ratnikova L.I., Its E.N., 1989. Seismic Surface Waves in Laterally Inhomogeneous Earth. (Ed. V.I.Keilis-Borok), Kluwer Publ. House, Dordrecht/ Boston/ London. Russian Edition (Nauka), 1988. 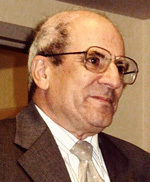 Kaufman,A.A. and A.L. Levshin, 2000. Acoustic and elastic wave fields in geophysics. I. Elsevier, Amsterdam. Russian translation: Moscow, Nedra, 2001. Kaufman, A.A., A.L. Levshin, and K. Larner, 2002. Acoustic and elastic wave fields in geophysics, II, Elsevier, Amsterdam, 2002. Russian translation: Moscow, Nedra, 2003. Kaufman, A.A., and A.L. Levshin, Acoustic and elastic wave fields in geophysics, III, Elsevier, Amsterdam, 2005. Russian translation: Moscow, Nedra, 2006. Levshin, A.L. and G.F. Panza, 2006. Caveats in modal inversion of seismic surface wavefields, Pure and Appl. Geoph., v.163, N.7, 1215-1233. Yang, Y., M.H. Ritzwoller, A.L. Levshin, and N.M. Shapiro, 2007, Ambient noise Rayleigh wave tomography across Europe, Geophys. J. Int., 168(1), 259-274. Bensen, G.D, M.H. Ritzwoller, M.P. Barmin, A.L. Levshin, F. Lin, M.P. Moschetti, N.M. Shapiro, and Y. Yang, 2007. Processing seismic ambient noise data to obtain reliable broad-band surface wave dispersion measurements, Geophys. J. Int., 169, 1239-1260, doi: 10.1111/j.1365- 246X.2007.03374.x. Levshin, A.L., J. Schweitzer, C. Weidle, N.M. Shapiro, and M.H. Ritzwoller, 2007, Surface wave tomography of the Barents Sea and surrounding regions, Geophys. J. Int., 170, p. 441-459, doi:10.1111/j.1365- 246X.2006.03285.x. Panza, J.F., C. Doglioni, and A.L. Levshin, 2010. Asymetric oceanic basins, Geology, 38, n. 1, 59-62, doi: 10.1130/G30570.1. Barmin M.P., A.L. Levshin, Y. Yang, and M.H. Ritzwoller, 2011. Epicentral location based on Rayleigh wave empirical Green's functions from ambient seismic noise, Geophys. J. Int., 184, 869-884, doi: 10.1111/ j.1365-246X.2010.04879.x. Yang,Y., M.H. Ritzwoller, Y. Zheng, A.L. Levshin, and Z. Xie, 2012. A synoptic view of the distribution and connectivity of the mid-crustal low velocity zone beneath Tibet, J. Geophys. Res., 117, B04303, doi:10.1029/ 2011JB008810.